Sacks of potatoes line both sides of the road at Alwalpur village in Jandu Singha. Distressed by a glut for the third consecutive season, farmers are unable to find buyers for the produce. In sheer desperation, they are giving away sacks of potatoes for free. At least 12 of them have stopped cultivating the crop. “Either we let the crop rot on village streets or give it away to Gujjars for free,” says a local farmer. 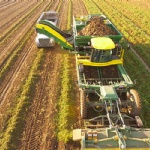 What goes around comes around at Cavendish Farms in New Annan, on Canada’s Prince Edward Island province, where potato scraps from the french fry plant are used at a nearby biogas facility to fuel the fry factory they came from. 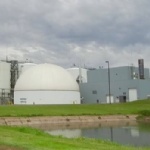 According to the company, generating biogas allowed it to reduce its dependency on fuel oil by 30 per cent, reducing greenhouse gases by about 35,000 tonnes — the equivalent of taking 7,300 cars off the road for one year. 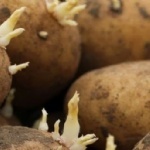 After 20 years of biotechnological research, the first GMO potato that is resistant to the PVY virus is said to go on sale to the public next year in Argentina. 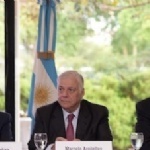 The potato’s productive and economic benefits are estimated at 45 million dollars per year in the Argentine market alone. 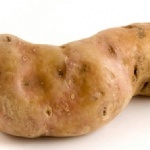 This transgenic potato is the result of an achievement by Technoplant, a subsidiary of the Sidus group of companies. 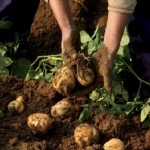 The fall in planted area the past season in Britain has been paired with a long-term rationalisation in the number of registered growers, AHDB Potatoes says in its annual Market Intelligence report for 2018/19. This season, the number of registered growers fell to 1,751 – a reduction of no less than 715 growers since 2000. Meanwhile, the average area per grower has been steadily rising during this period. A decline in own-label fresh potato sales has been blamed for a drop in turnover and profits at one of Scotland’s most well-known potato companies. 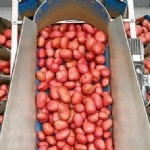 Accounts for Albert Bartlett Holdings Ltd, which runs the popular Albert Bartlett potato brand, reveal the group posted a 9.6% decrease in turnover to £154.502 million for the year ended May 31 2018. Pre-tax profits were also down 12.8% to £6.123m, from £7.022m before. 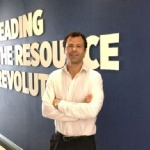 Kim Malley is a Senior Analyst with AHDB in the UK. She says that as potato retail volumes grow, smaller categories such as crisps and chilled are increasing at the fastest rate. According to Ms Mallay, this is reflected in the innovations we see in the category, with significant degrees of diversification in terms of new flavours and formats. 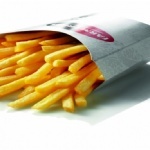 Conventional oven chips are no longer the overwhelming force in terms of new product development within the category. 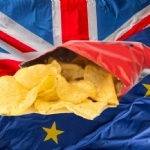 Is the British crisp industry heading for a Brexit crunch? At the moment crisp maker and exporter Kettle Foods pays no tariffs on any of its exports to Europe – exports which account for 15% of its total production of crisps. Should there be a no-deal Brexit and the UK faces having to pay EU tariffs, that means paying 10% on every pack of crisps. Morgan Smallman owns and operates a family farming operation that specializes in the production of potatoes on Prince Edward Island in Canada. The Smallman operation is typical of the traditional family farm where several generations of a particular family are not only playing an active role in the day to day management of business, but where the youngest generation is brought up with a sense of pride and love for the operation. According to Diego Flammini, Staff Writer at Farms.com, Alberta province in Western Canada could dethrone Prince Edward Island (P.E.I.) as the country’s top potato-producing region. 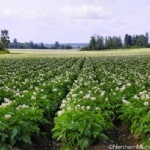 Flammini writes that annual spud production figures for Alberta and P.E.I. both sit around 2.23 billion pounds. This is according to a new report from ATB Financial. The report tracks potato production in both provinces since 1998 and found two significant changes. 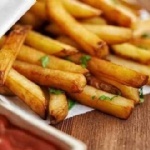 Fry exports from Europe have become a huge part of the global market growing from under 500 million pounds in 2003 to 3.661 million pounds for the marketing year ending June 30, 2018. But given the production losses, those exports could be down 360 million lbs. next year. At the same time, demand is projected to increase 360 million pounds. That could create a shortfall of 720 million pounds in the coming year. The total harvest estimate in the five NEPG countries has now been established at 24.3 million tonnes. These countries are Germany, Belgium, France, Great Britain and the Netherlands. 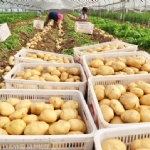 The expected final harvest is 18% lower than last season and nearly 8% lower than the five-year average, says the North Western European Potato Growers organization (NEPG) . 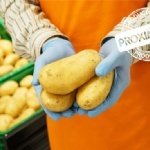 Producers of early potato from Ljubuški associated under the brand ‘Ljubuški rani’ have improved their product quality and in 2018, for the first time, Ljubuški rani found its way to supermarkets in Bosnia and Herzegovina (BiH). 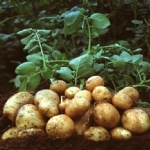 Early potatoes from Ljubuški are famous in the region for its quality and early maturing, and has recently become known and branded as “Ljubuški rani”. The worst growing conditions in more than 40 years have brought misery for Britain’s potato farmers this year. Freezing spring temperatures in parts of the country, followed by the summer drought – the worst since 1976 – have hit growers across the country and threatened to put some out of business altogether. Now, however, comes a rare piece of good news for the industry. Tesco is relaxing its stringent guidelines. Newer retail customers may see some of their potato orders coming up short come summer, says the United Potato Growers of Canada. 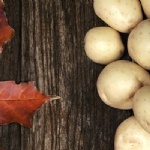 A poor harvest in many parts of Canada has led to a smaller supply of potatoes in the country. Kevin MacIsaac, general manager of United Potato Growers, said long-term customers will be the priority, and new customers may be out of luck. In the latest issue of the Potato Bytes newsletter, issued by Northern Plains Potato Growers Association (NPPGA), Ted Kreis writes: “As we near the halfway point of the Red River Valley fresh crop shipping season, marketers are pleased, especially when comparing this year to last year.” The good fortune started early in the season when a heavy snowcover protected about 4,000 acres of unharvested potatoes from the very cold temperatures that settled in for a few days after the snowstorm. Swiss Potato Processor Kadi AG gets new ownership as German private equity investor Paragon Partners has agreed to sell its majority share shares in the company to Invision, an investment company in Zug (CH), thereby securing KADI’s long-term, independent perspective as leading supplier of premium potato products in Switzerland. Potato crops do not perform well in high temperatures, according to a new research paper, and that could be a problem as the weather warms with climate change. 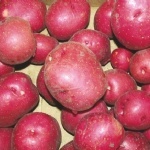 Om Rajora, one of the authors of the study, said they tested 55 different varieties, or cultivars, of potatoes, including russet Burbank, a workhorse of the potato industry. The study was published earlier this month in Canadian Science Publishing’s Botany journal. Champ’Pom Export was created 10 years ago in Champagne, at the heart of one of the largest French regions of potato production. 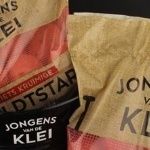 Nowadays, this company produces and trades more than 30 potatoes varieties, selling a total of 40000 tons per campaign. 20% of their sales is covered by their own production while the rest is produced by French partner farmers based in the northern half of France. Figures published this week by AHDB Potatoes confirm that 2018 was one of the worst Great Britain potato harvests in recent years, with volumes significantly lower than average and processors noting a direct impact on the quality of available raw materials. The potato market has recently been fairly depressed in China as far as sales are concerned. The supply from major production areas and wholesale markets are slow and does not show any improvement at this time. Data from Sublime China Information (SCI) indicates that the price of potatoes from cold storages in Shandong continues to fall currently. 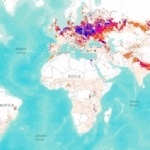 Widespread crop failure in Europe’s potato fields this past growing season is going to have markets scrambling for french fries and dehydrated potato flakes. What’s happening globally will have a big impact on potato markets this year and next year as well, Bruce Huffaker, publisher of North American Potato Market News, said during the University of Idaho outlook seminar Dec. 12. BRITAIN’S potato harvest was the lowest since 2012, according to newly published figures, which also revealed that Scottish yields held firm against that slump. 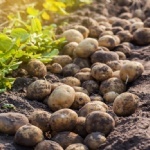 Despite the ‘challenging’ growing season, potatoes grown north of the border enjoyed a 3% increase in yield against last year to 49.2 tonnes per hectare, while the total British potato harvest was 13% down on the five year average of 5.6m tonnes at 4.9m tonnes. Statistics Sweden and the Swedish Board of Agriculture report that the Swedish potato production is estimated at 449 000 tonnes. This is lower than record low levels in modern times in 2006, 2007 and 2015, and also lower than the years of crop failures in 1867 and 1899. 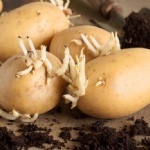 Potato specialists in the US recently published an information fact sheet on Fusarium dry rot in potato storages in which they provide practical tips on how potato growers can deal with this all too familiar problem that is no doubt known to many potato growers in North America. 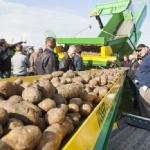 The bulletin was published in the Northwest Potato Research Consortium’s newsletter Potato Progress. 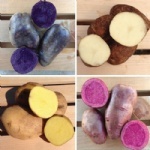 Fungicide sensitivity testing of British late potato blight strains suggests an emerging genotype is very aggressive and more difficult to control with several common fungicides. 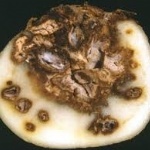 The laboratory discovery prompted a warning against complacency when formulating future blight control strategies to help prevent the loss of other fungicides. 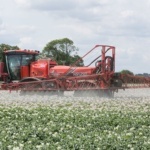 The AHDB commissioned work to test a range of fungicide groups active against potato disease phytophthora infestans. The potato is regarded as the third most important food crop in the world after rice and wheat in terms of human consumption. According to the International Potato Center (CIP) in Lima, Peru, more than a billion people worldwide are estimated to eat potatoes – about one in seven. In an article in the launch issue of the new print magazine, Global Potato News, the latest FAOSTATdata is published related to the top 25 potato producing countries in the world, and also the top 20 global exporters of frozen potatoes. 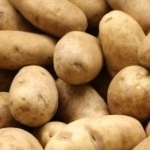 British potato farmers were hit by drought in 2018, leaving the total volume of spuds harvested at the lowest level since 2012, and the fourth smallest since 1960, AHDB Potatoes says in a recent report. The British potato harvest is 13% down on the five-year average of 5.6m tonnes at 4.9m tonnes, according to our annual estimate. The FEPEX Potato Committee, which met this week in Madrid, confirmed that this year’s production will be between 15% and 20% smaller than last year’s. The Committee also analyzed the prospects for the next season, in which the price of seed will be decisive, and it prepared the sector’s participation in coming international meetings. 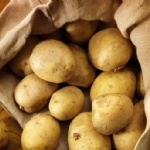 The Potato Growers of Canada (UPGC) issued a report in which the organization comments on the latest potato harvest estimates by Statistics Canada, released yesterday. 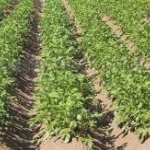 “Given the late harvest in the country, and the amount of acres left in the field, it was difficult for Statistics Canada to gather the appropriate information from growers at a normal time,” according to Kevin MacIsaac, General Manager of the Potato Growers of Canada. Plans on reducing the impact of potato growing and manufacturing on the environment have been outlined in Farm Frites’ first global sustainability report. The report looks at the sustainable measures the company is taking and how pubs can promote the environmental and ethical credentials of the potato firm. It outlines nine areas where the company is accountable on both ethical and sustainable issues. The BBC has published an online carbon emissions calculator tool which can be used by anyone to calculate the climate footprint of different common food groups, including potatoes. When one activates the calculator to determine the footprint of potatoes as a food source, it becomes clear that potatoes are and remain one of the most environmentally friendly, low carbon additions to anyone’s evening meal. 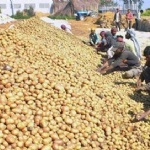 In Algeria, the Minister of Agriculture, Rural Development and Fisheries Abdelkader Bouazghi is reported as saying on Saturday that “Algeria will stop the import of potato seeds in 2021.” In a statement the minister indicated that this farm has “greatly” succeeded in the technical mastery of the production of quantities of seed potatoes of first generation (G1) allowing the production of second generation G2 plants and “meeting the national needs for Super Elite seeds”. 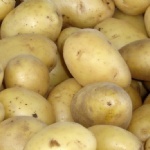 UK potato production has hit its lowest level since 2012 and the fourth smallest since 1960, down by 13% on the five-year average of 5.6m tonnes at 4.9m tonnes. The relatively low production figure is a result of an estimated 4.4% drop in planted area, and a 12% drop in average yield. Now in the third year of his research project, Andrew Hollingshead, a Ph.D. student will continue bruising, battering and dissecting tubers throughout the winter. But these unusual experiments are nothing new at the University of Idaho’s Kimberly Research & Extension Center. The center has been researching potatoes since the early ‘90s. 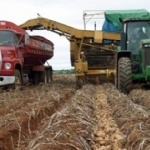 In Peru, potatoes are a product with high potential; however, not enough efforts have been made to allow the growers to receive a higher price for their productions. 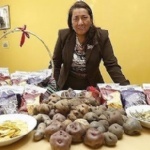 In this regard, the executive director of the Center for Productive Innovation and Technology Transfer for Potatoes and other Andean Crops (CITE Papa), Celfia Obregón Ramírez, said that the biggest challenge with this food is to give it added value. Dr. Steve Johnson, a full professor with the University of Maine Cooperative Extension, spends most of his time at the Aroostook Research Farm in Presque Isle. That won’t be the case starting this December when Dr. Johnson goes on sabbatical. 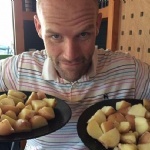 (Johnson) I have applied for and been granted an opportunity to go learn about potato production and help some growers in another country, another area. I’ve chosen Australia. 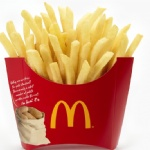 The best way to keep potatoes moving is to keep consumers informed, marketers say. 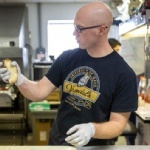 Understanding the consumer’s evolving attitudes and behaviors about food is paramount to marketing any food product, including potatoes, said Kim Breshears, marketing programs director with Denver-based Potatoes USA. Dr R.M.J. 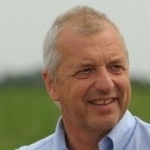 (Mike) Storey has been a key player in the potato industry for a long time – some 36 years with AHDB and its predecessor organisations and six years in potato-focused research before that. The time has come for him to retire at Christmas and he will be missed, not only as an effusive enthusiast and supporter of the potato but also because there is just so much knowledge of the crop that’s going to leave with him. Phil Hamm has dedicated his professional life to studying plant disease and has been a great asset for potato growers in the process. Hamm’s journey, at least professionally, is coming to an end, however. The longtime Oregon State University employee and Hermiston Agricultural Research and Extension director will retire next summer. 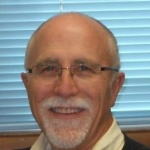 He has been with Oregon State for 30 years and has studied plant disease for 45 years, reported the Eastern Oregonian. We report today with much sadness the passing of a Canadian potato pioneer and staunch supporter of the Canadian and International potato industry: Bill DeVos. 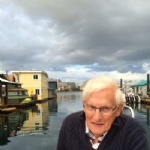 Bill passed away on November 25th in Victoria, Canada. 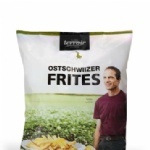 He was a greatly respected figure in the Canadian potato industry and internationally as well. Last week, NPC joined over 100 other agriculture organizations in filing comments on the recently-announced Japan Free Trade Agreement. 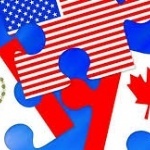 This information is intended to assist the Office of the Trade Representative in organizing its agriculture priorities in advance of the beginning of formal negotiations, according to a report published by Potato Bytes today. 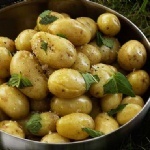 According to a press release issued today by Potatoes USA, total store potato sales of potatoes for the July – September 2018 period compared to the same quarter the previous marketing year, were down -1.9% in volume but were up 1.3% in value based on a 5.0% increase in the price per pound. A 10-million-tonne drop in the EU potato harvest has fueled a surge in spud prices across the continent. Supplies across Europe have fallen 13.5% this harvest, dropping from 64.6 million tonnes in 2017 to 54.4 million tonnes this year, as a result of this summer’s drought.